I need to declare a conflict of interest here, this flowergirl is my daughter. 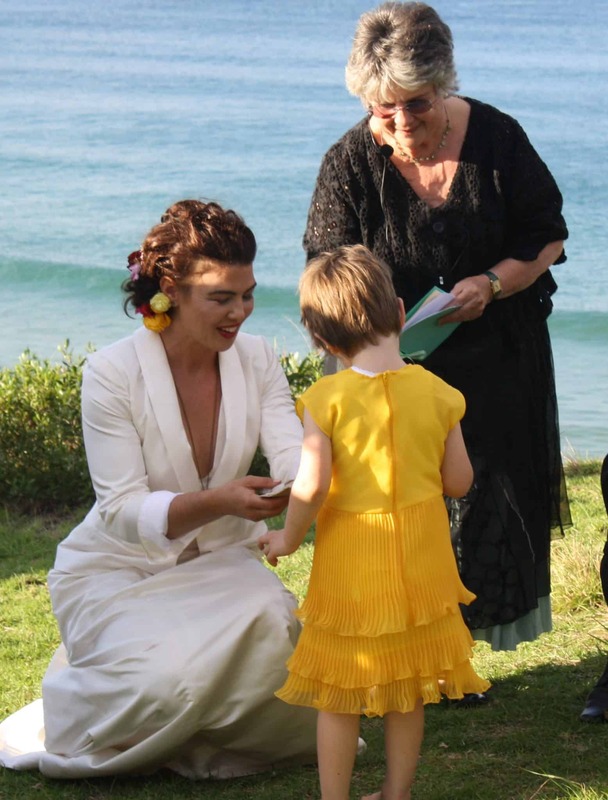 When the bride decided on her flowergirl wearing yellow a coincidence struck me. The bride wore a yellow dress when she attended my wedding. 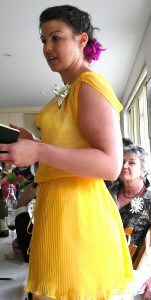 The dress was pulled out from the back of the brides cupboard and recycled into the flowergirl dress. The skirt was permanently pleated so I could easily cut and re sew it into a few layers. The top I cut down to the small size and added a zip and lining. 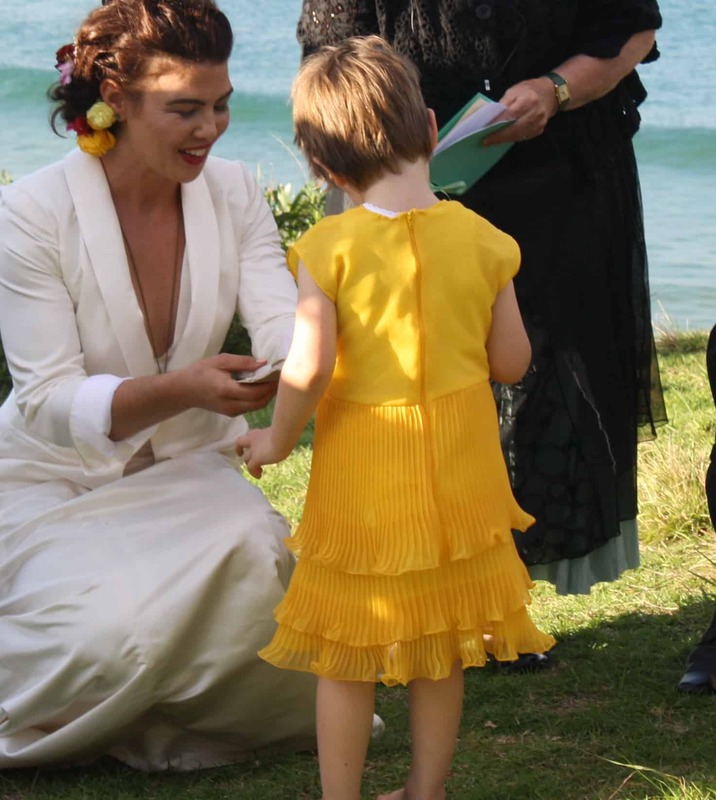 The flowergirl was supposed to be wearing a corsage but as soon as she saw the pin she wasn’t having it, ‘too ouchy’ She was also supposed to be wearing shoes and have brushed hair but I suppose you take what you can get with a three year old. Here is the dress in its original incarnation. 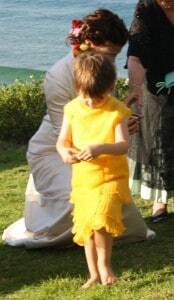 This entry was posted in Beach wedding, Blog, flowergirl, Kids and tagged recycled fabric, yellow.